The new “Aneas for Leica” binocular bags are ideal for the safe stowage and carrying of all binoculars with 42 mm objective lenses. 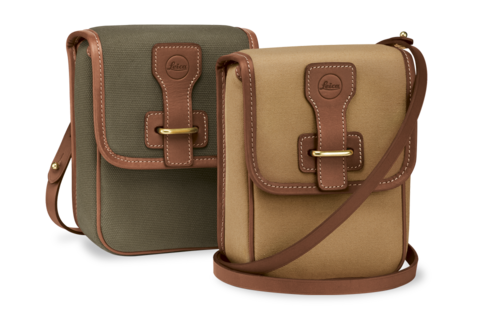 Made in France, the elegant, particularly hardwearing, and weatherproof bags in robust, finest-quality canvas are available in a choice of brown or green. The bags are produced in collaboration with “Aneas”, the French artisan workshop well known for their use of the premium materials, finest leathers, and elaborate finishing.